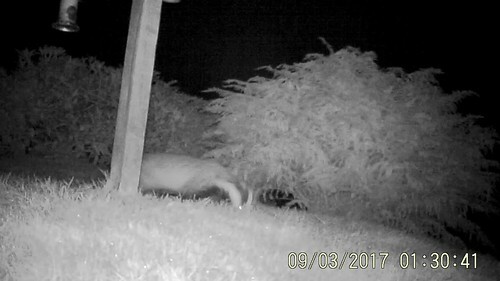 Two vidoes - Very pleased that Badger returned after all the railway fencing done. She must have had her babes as she it quite thin again - last time I caught her on trail camera she was very fat and sat down to eat. Mine have deserted me completely. I'm hoping they're just busy caching acorns in the woods nearby... and keeping fingers crossed they return in a while. The past few years the oaks down our way have not been producing any acorns, but this year there is an abundance of them. Your badger might not be fat, but she looks healthy- her coat is in good condition. 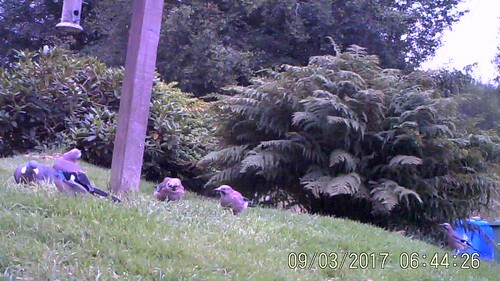 Never seen a live badger outside of a sanctuary but I do see and hear jays in the wood and the do breed every year too.